Business owners, HR/staffing managers, insurance brokers, real estate brokers, event managers, accountants, tax consultants, lawyers and freelancers. Unlimited users for team plans starting $25/month. Annual payment discount. Securely send documents for eSignature & Digital Signature + use our automated assistant to send reminders & get updates on document status. 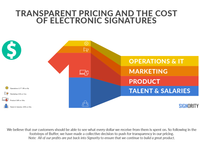 Bringing the entire document signing process online has never been so smart, easy and secure. With Signority, your documents can be amended, shared, and stored safely in the cloud. All the tools you need to thrive in todays digital business. Team management, workflow automation, company branding, real-time status alerts, traceability and more. Pros: I love this software! It is very easy to use both on the preparation side and on the signer's side. It is an easy and convenient way to get documents signed and provides a record for your files of the date and time that the document is completed. Documents can be sent to multiple individuals at a time. Signers can simply open up the document on any device and sign with their finger, then return the document. Cons: We are on a limited use plan which allows for a certain number of documents each month. The document storage needs to be cleaned out from time to time but still indicates more documents in there than I can see. Overall: To get documents signed by individuals who are in other locations, this software provides an easy method for doing so. We would highly recommend this software. We are very happy that Signority streamlines the signing process for the foundation. I will reach out to you to address any concern. Cons: Expensive to have certified signatures. Overall: I am a professional that sometimes needs clients to sign forms electronically so that they do not have to come in. Signority has provided a super easy solution that works perfectly. It is easy to upload a PDF, designate areas where a signature or an initial is required, and send it to the client. Clients can then sign and initial on an Android device, an iPhone or their computer. What used to be a big pain (having to hound people to scan and email documents) is now super easy and I usually get documents signed back almost immediately. I highly recommend it! Pros: Fast, easy. Allows me to be more productive since I don't have to waste time once the signature request is out with the program. I also like the auto-stalk feature (auto email follow up). I like the loading messages. Always makes me smile. Cons: Not sure I like the new interface BUT I can see how it helps make sure that no steps get missed. Overall: Getting things signed can be a huge pain. People are busy, they get the email or fax and will "do it later when they have time". Then they don't. Or they forget. The one thing that almost everyone has is a smart phone and an email account. That is all they need. Get the email, open it, sign it, done. This program turns days of follow up and phone calls into a few minutes. I wish I had this years ago. Pros: Signority's interface is easy to use. The tech support is very good and usually quick to respond, especially when you get through on the phone. They stick with you to solve your problem. I had used DocuSign in the past and found it more confusing and support was not as good. Overall: I have had a positive experience with Signority, primarily because of their support. Thank you very much for the review. It's our pleasure to support you. We listen to our customers carefully and improve the application. We will add more tool tips to new features. Saves me hours of work! Pros: Using Signority has been a great experience. 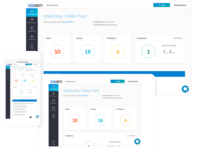 I am an event planner and currently use it for my contracts, it was previously a hassle to figure out a time that worked for my clients and me, but Signority has made the process very simple. Cons: Honestly, not too much I dislike. Would be great if I could sent my contracts directly to Google Drive, but I was recently told that that feature is coming up within the next month or so. Overall: Using Signority has been a great experience. 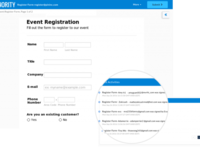 I am an event planner and currently use it for my contracts, it was previously a hassle to figure out a time that worked for my clients and me, but Signority has made the process very simple. Recommendations to other buyers: Contract signing -- no more paper! Overall: I really like the program and the ease of getting signed documents back from our clients is extremely easy. However your company seems to change the program quite frequently. I understand that this is to improve the program and make things easier, but this sometimes is more of a problem. Just to get through the program/document when it has been changed is frustrating at times. Thank you for your feedback. It is incredibly valuable to us. You are right, we have been changing the pace of our updates and have gone from major updates a few times a year to every 3 weeks. 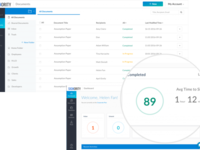 This is to be able to take in our customer's feedback as rapid as possible and also to smooth out the entire signing process. As you know, we recently had major redesigns to our core application. This resulted in an overwhelmingly positive feedback from users like you, asking for more. We're still tweaking and making changes to our process to ensure all changes are well received. If you'd like, we can have a private discussion and give you some extra insight into our product roadmap for next year you so have a heads up in terms of what coming and changing. We'd love to show this to you and get your ideas on it. Pros: Very easy to use. If one of our staff leaves one form out of a document set, we don't have to ask our client drive back to the office, we can simply send it via Signority. This has saved many a client. Cons: There is nothing I can think that we dislike or would like to change. No complaints from my staff or from our clients. Overall: Signority works great for our office. Frustrating that it seems to change month, I log in and the template changes so its hard to figure out where things are. It needs to be more consistent, stop changing the layout. Other than that its wonderful, allows me to be more efficient. Great Stuff! 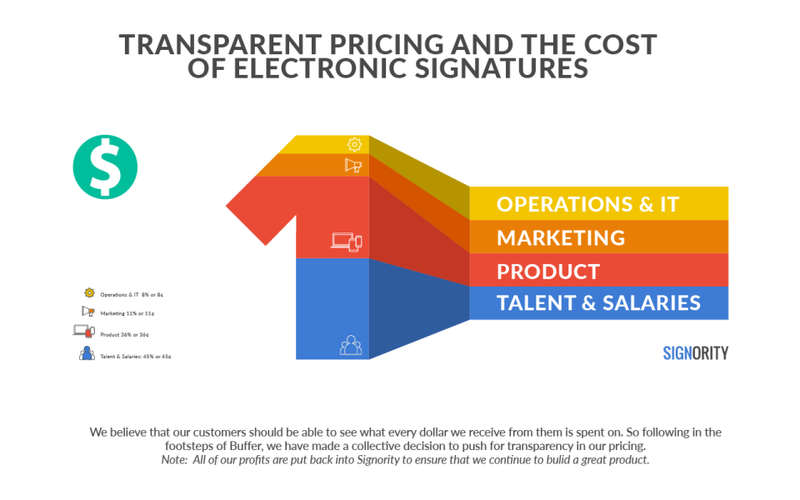 Pros: We love the ease of getting documents signed. Overall: : We have been using Signority for several years. Service has always been top notch. It is very easy to use. We wouldn't do our signing of documents any other way. We use it for internal use and for external use. An excellent product that I tell people about when they need documents signed. 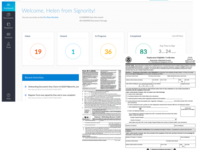 Recommendations to other buyers: I would recommend the Signority software to anyone who has documents that need to be signed. Comments: My experience has been great. 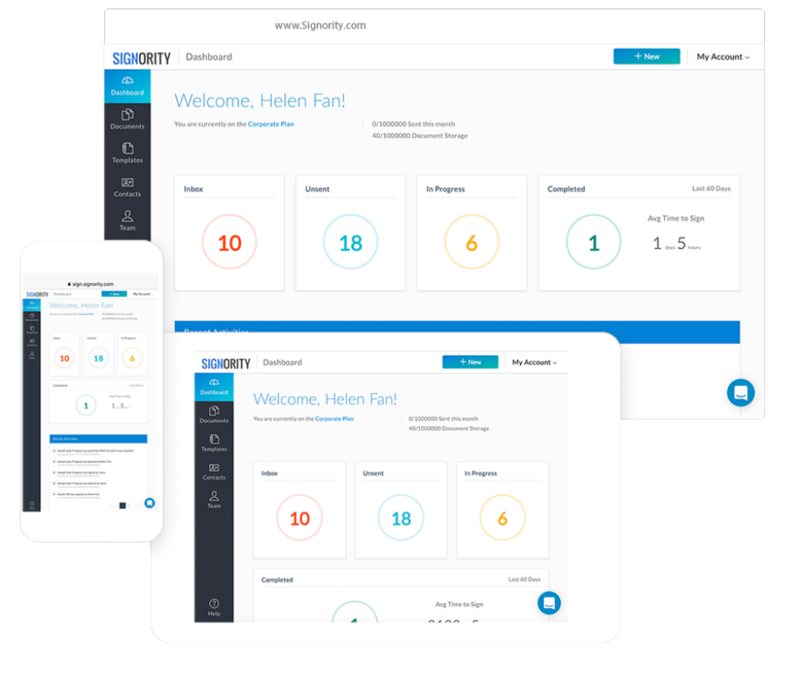 Using Signority has tremendously helped me in business and I use it on a daily basis to make business with my clients more efficient and convenient. Thank you Camille, great to hear we add a lot of value to your business on a daily basis! Overall: Very convenient, makes my business life easier. Awesome support, very prompt and responsive. Tremendous value. Comments: I use this for Insurance applications. I find it quick and efficient to use. Would like switching from clients to sign certain places to be a little easier. "We have gotten a lot more out of this product than expected"
Cons: There is nothing I have found that I dislike. Overall: I love how I am able to save time and paperwork by using this software. I also like how I am able to speak with a real person any time I have any questions. The customer service manager is very friendly and the sales manager contacted me herself to make sure there was nothing I needed help with! I have had a great experience! We have also saved ALOT of money on postage which has offset the cost of the actual software. Recommendations to other buyers: Easy to use and the service is top notch. Overall: Not much to say other than as a broker it makes my life and many others much, much easier when it comes to obtaining signatures. Comments: Very easy to use, allows me to help my clients when they are not able to provide their signature another way. Thank you Shelley for your feedback! Much appreciated. Pros: The value in the product. Cons: It can be time-consuming if there are many fields that the client needs to fill info for. Overall: I find there is great value in this product, it allows me to get the job done when there are no other options. It is easy to use for myself and my clients. I haven't had any clients not able to figure it out. Recommendations to other buyers: Nope, I think it works great. Thank you for your feedback! Im sure you'll be happy to know that we're working on making it easier and faster to handle multiple tags/fields (both for you and your recipients). This should be coming early in 2017. Let me know if you would like to provide us with additional feedback or get a glimpse at our product roadmap for next year. Comments: When I have a had a problem it was dealt with promptly and satisfactorily. 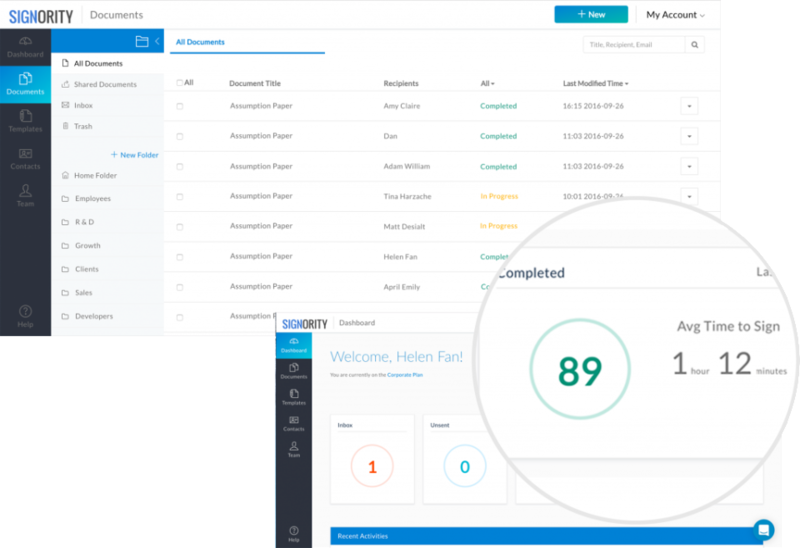 I love using signority, it has made my job easier getting documents signed quickly and without much disruption to clients or myself. Overall: Having tried many of the existing solutions and found them quirky to use (feel like old software on a pc), it's nice to see their new UI which looks and feels like a new web app. 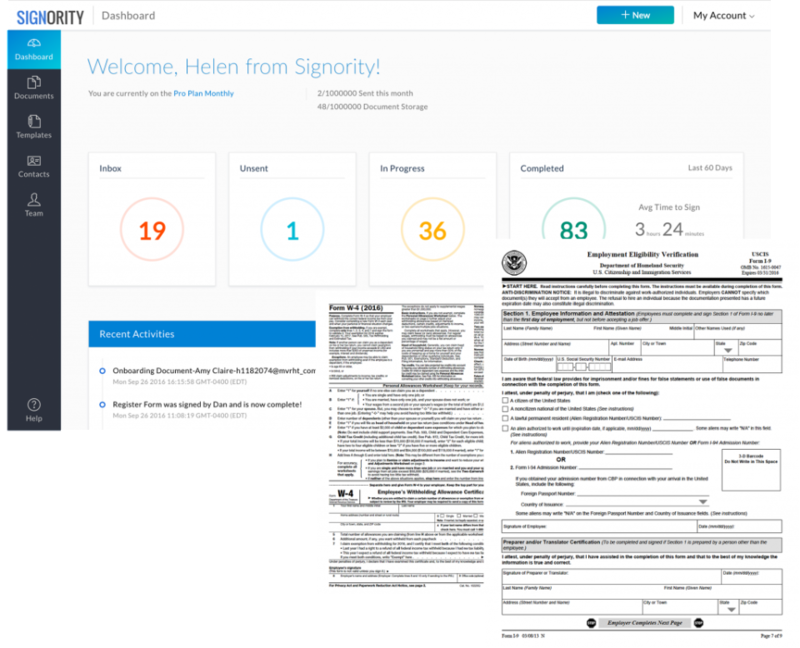 Overall: Signority is an excellent way to get documents signed digitally. I researched several products and this one was the easiest and most powerful product out there. Recommendations to other buyers: not at this time. Comments: I had to handle a number of contracts, getting them signed by numerous authors for a project for my small publishing house. The process moved quickly and smoothly thanks to Signority, at a price point that can't be beat. Good value, easy to use! Comments: Took a little bit of time to set it all up perfectly, but overall very easy to use. Be careful to change the recipient on the document and not on the template, but otherwise no problems. Comments: This software has made our lives, as well as our client's lives, easier! No need to access a fax machine or printer. Signatures are literally now at our fingertips!! Brilliant Product. Very easy to use. Pros: It is very easy to use. Cons: There is always a room to improve, in this case the product could become even easier to use and more intuitive. Overall: I've been using Signority to have my contracts, mock ups and other creations signed off. It is very easy to use, intuitive and have all the features I needed. I like the new version of sending a letter to sign by signority. It is easier than the old way. Comments: It is a quick, easy and convenient way to obtain a clients signature for any insurance company that accepts it. Overall: I use this for completing documents for my clients that are not able to make it into my office. Being in Alberta a lot of my business focusses on Oil Field Workers who just do not have time to drop by as they are at "camp"
Great easy to use software! Comments: Signority has saved our small business a lot of time chasing up paperwork. It is extremely easy to use. 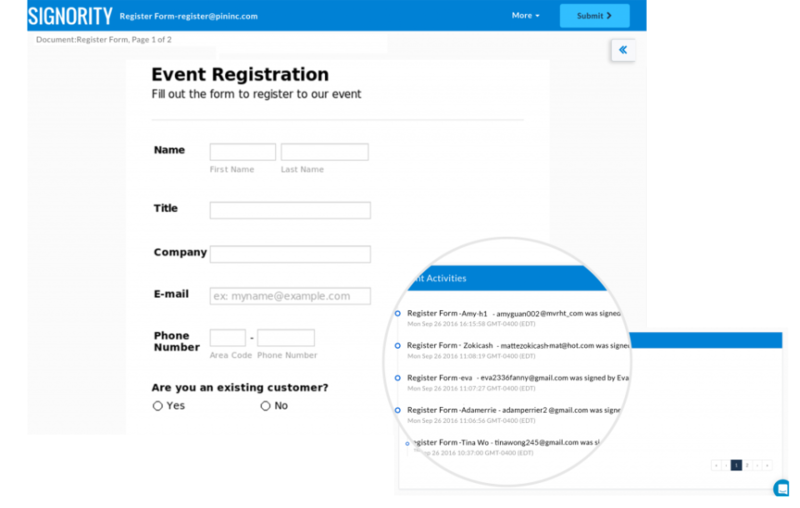 Comments: As I work with several contracts for marketing buys and event orders/logistics, Signority has simplified the process of completing and delivering the required forms - very quickly. Having a digital audit trail keeps me organized as well. Thank you Katie! Awesome to see you are using our platform for marketing buys and event logistics!